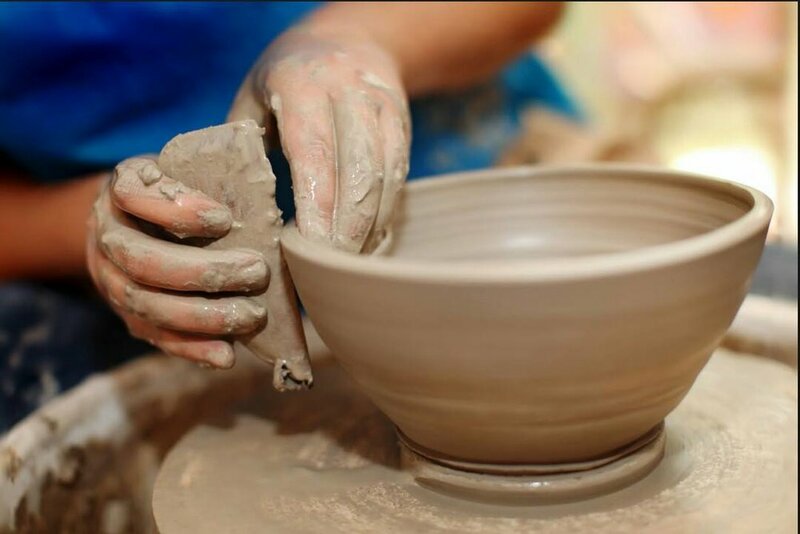 This 6 week set of classes, "All Level Wheel-thrown Pottery" is great for beginners or for an experienced potter who wants to get their groove on. Hands on learning opportunity of the basics of throwing, shaping and trimming pots on the wheel. High fire glaze techniques will also be used to have a start to finish experience. Students will work in a group setting, individually, and one on one with the teacher when needed. Students with experience can set goals of new skill sets that are desired. Your instructor will guide you through exploring different shapes and forms. This class is a great way to satisfy your curiosity of the wheel and both stimulate and relax the mind. We welcome you to try and try again and have fun with the unexpected results. You will be learning pottery and most likely a bit about yourself. Give it a go! (Beginners welcome). Class size max 8 students.